Great News: SUN CHOKE will be hitting theaters on August 5 and VOD and iTunes on August 2! Check out the new exclusive trailer featured on Entertainment Weekly. SUN CHOKE is a new psychological horror-thriller that centers on a young woman, Janie, recovering from a violent psychotic break. She's subjected each day to a bizarre holistic health and wellness regimen designed, and enforced, by her lifelong nanny and caretaker. Janie begins to veer off the road to recovery when she develops an obsession with a young woman to whom she feels an inexplicable yet profound connection. The obsession turns increasingly invasive, and wedges all three women into an ever-tightening, and progressively terrifying struggle for control. In other exciting news, DOGWALKER will be screening in Shorts Program 2 at the LA Film Festival on June 3 and June 7. So if you live in LA or will be in the area, come out and watch some awesome shorts from a bunch of talented up and coming filmmakers, oh, and I will be there. Buy tickets! ​A reclusive woman, Hazel, lives out her worst nightmare: While in her care, a favorite client's beloved pet passes away while the family is on vacation. I hope everyone had a great summer! I did quite a bit of traveling during the months of July and August. I swam the Mediterranean Sea off the coast of Nice, France, ate tapas and pintxos all over the northern part of Spain, appeared at two conventions in England and Scotland, and hung out at Fright Fest in London where SUN CHOKE screened to an enthusiastic crowd. The last couple months I've been getting back into the groove of things, reading scripts and making some awesome new ceramic work, check out my store! ​Last week, SUN CHOKE played amazingly at the 2015 Knoxville Horror Film Fest. And, to my surprise, I WON Best Performance in a Feature Film! My first award for acting, so I'm pretty excited about it! In general, SUN CHOKE has been getting awesome reviews and I cant wait for it to get distribution so everyone can see it. I play such a different character than I've ever portrayed before. You can read some reviews on my Press page. From November 6th - 8th, I will be in Bonn, Germany for RingCon 15! Come say "hi", and I hope to see some familiar faces! SUN CHOKE, a psychological horror film, made its world premiere at The Stanley Film Festival in Estes Park, CO. I play Janie, a deeply troubled woman with violent tendencies. Also starring in the film is scream queen Barbara Crampton. We had a great audience, who were genuinely left scared and disturbed. Mission accomplished. And the reviews are starting to come in! I will keep everyone informed about the film's release date. For now, check out the Trailer. For more updates and pictures LIKE the Facebook Page. And Follow on Twitter. In other news, I just wrapped filming a dark comedy short film, DOGWALKER, directed by Kim Sherman and co-starring Keith Poulson. I play Hazel, the dog walker, whose worst nightmare comes true as she discovers one of her favorite client’s beloved pets has passed away. It's currently in post-production, so stay tuned for more updates. Two movies I worked on just became available on iTunes!! "The Most Fun I've Ever Had with My Pants On" and "OJ: The Musical" are available to buy and watch along with my movie "Jess + Moss". Click on the movie titles to be connected to their iTunes page! In other news, I will be showing my current ceramic work along with some other talented female artists on July 12th. The show will be held in Cypress Park from 6pm-10pm at 3400 N. Figueroa Los Angeles CA 90042. For more information check out the facebook event page. Headed to Pensacola, Florida this weekend Feb. 21st-23rd for Pensacon. I will be there with my fellow FREAKS AND GEEKS and BUFFY cast-mates. If you are in the area stop by and say hi! Still Image from "Sun Choke"
Happy New Year!! I hope everyone had a great 2013 and will have an even better 2014. I have a few things to update y'all on. I shot an indie psychological horror film called "Sun Choke" for three weeks in December. It was a crazy intense experience and my first venture into the horror genre. The character I play, Janie, is much different from any other character I've played before, and that is what intrigued me to accept the role. I thought it was a good opportunity to challenge myself and take a risk. An article from Fangoria came out last week about the movie. Read it here! An indie comedy film, "Orenthal: The Musical", I shot a year ago has been making its way around the festival circuit. I attended the Santa Barbara Film Festival screening of the movie on February 1st. Also, the film will be screening at the Sedona Film Festival February 26th, so if you're in the area check it out! I'm currently filming Season 2 of "Breaking Fat" a web-series parody of Breaking Bad. I shot some of it last week and will be heading to Orlando, FL in the middle of February to shoot the rest of the episodes. Follow more updates on Twitter! Hey All! 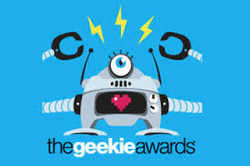 On Sunday, August 18th, I will be presenting at the 1st Annual Geekie Awards with my fellow "Freaks and Geeks" cast-members Samm Levine and Natasha Melnick! In a nutshell, it is an award show highlighting indie "geekmakers" and it will be streamed live. Check out their website for more details! Also, I recently finished a colored pencil drawing of my baby friend "Finn". You can see the finished product here. Well, as some of you may know, I shot an indie road trip movie called "The Most Fun I've Ever Had With My Pants On" in 2011. It premiered at the Seattle International Film Festival in 2012 and also screened at the AFI festival in Los Angeles in November 2012. The film is continuing its festival run with the most recent showing at the Outfest Film Festival in July 2013. For more information on the films upcoming showings check out its website and "like" its facebook page! I have another indy movie called "Orenthal: The Musical" that is currently making its festival run! 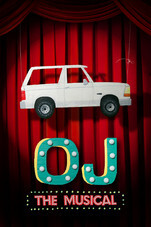 "Orenthal" is a comedy about a guy who enlists his friends to help him put on an OJ Simpson musical to try and win back his high school love. The movie is premiering at the Traverse City Film Festival on August 1st and August 4th. Check out its website and "like" its facebook page! Me and Shelley Hennig on the set of "Friend Me"
Also, the indy movie "Jess + Moss" had a long and successful festival run that has now come to an end. However, if you have not seen the movie yet you can still watch it on amazon, youtube, sundance now, and itunes. I would definitely recommend watching it because it is a beautiful portrait of hot, lazy summer days in a rural Kentucky setting and I'm in it! "Like" the facebook page! At the end of 2012, I made a guest appearance on the CBS sitcom "Friend Me" starring Christopher Mintz-Plasse and Nicholas Braun. Fred Savage directed the episode, which was awesome! Also, a fun fact, I shot "Friend Me" on the same sound stage as the first sitcom I ever appeared in called "DAG" back in 2000. Crazy! Earlier this year, I shot a guest spot on the number one watched show on TV, "NCIS". I played a potential nanny to Leon Vance's kids. My character did not end up getting the job because she was too preoccupied with twitter during her interview and too presumptuous. The episode was called "Seek" and it aired in March this year. Meanwhile, I have been working on a web-series with some friends for fun called "Breaking Fat". We finished season one earlier this year and will start shooting season two next month. Check it out on youtube! In addition to acting, I graduated college this year! I have been working towards my degree off and on for 11 years and I finally finished! I received my Bachelor of Fine Arts degree in studio arts from California State University of Los Angeles. In June, I showed my artwork in two galleries on campus which was quite an undertaking considering I only had 10 weeks to create two sculptures. However, I believe it was a success and you can check out the Coccolithophore sculpture and The New World sculpture in my artwork gallery! Stay tuned for more updates... (I promise it wont be another 2 years)! I can't believe it is already October! This year has been flying by. I've just finished filming 4 episodes of "90210", three of which have already aired on CW. The next episode that you can catch me in will be episode 9 of this season. Not sure when it will air, but stay tuned. It's a good one! When I wasn't filming "90210" in Los Angeles, I was flying back and forth across the Southwest to meet up with a small passionate film crew. We were working hard in 110 degree weather to create an indie road trip movie called "The Most Fun I've Ever Had With My Pants On". Most of the crew are the same people from the film I've been traveling with, "Jess + Moss". Check out some images from the film here. In September, Clay Jeter (director and boyfriend) and I attended the 37th Deauville Film Festival where "Jess + Moss" was one of fourteen movies selected to be in their competition section this year. Another movie was Linda Cardellini's movie "Return." So, I met up with her and we hung out in Deauville and Paris, and we even took a trip to the Normandy Beaches. It was awesome to hang out with my old buddy from Freaks and Geeks! Later in the month, I attended the Quebec City Film Festival and the Santa Rosa Film Festival. I ate poutin (squeaky cheese and French Fries) in Canada and went wine tasting at the Pride Vineyard in Napa Valley! In the upcoming months, I will be continuing to travel to Brazil, Germany, Poland, and Italy to promote "Jess + Moss", which will be released early next year! In other news, during my off days in August I will be busy filming an indy road trip movie with my friends. The story centers on two estranged friends who travel from Los Angeles to Austin with one of them spreading her dad's ashes along the way. It should be fun, but extremely hot (supposedly it has been 109 degrees in Austin)! Also, check out my artwork page! I have added a couple of ceramic projects as well as a painting. The painting and one of the ceramics is unfinished. I was planning on finishing it this month, but my month just got super busy. I will replace the unfinished projects with the finished ones as soon as I get a chance to finish! It's been a little over 2 months since I last posted. I told myself that I would update my site regularly, but ,you know, time got away from me and blah blah blah. But the good news is that I've been keeping myself real busy! In May, I shot an independent film called "Orenthal: The Musical", a mockumentary of a guy putting on a musical to win back his high school girlfriend. I play Dietrich, a mute genius who is the composer for the musical. Mostly, she just makes origami cranes during the rehearsals. At the beginning of June, I finished another quarter of school (one day I will have that degree, one day!). I took a few classes, two of them being Painting and Ceramics. I will post some pictures soon! I recently got back from Brooklyn, New York where my film "Jess + Moss" screened on June 18th! We were part of the BAM Cinema Film Festival, which is an awesome festival to be a part of. The festival focuses on showcasing the best in recent independent cinema. I am currently in a Hollywood Fringe Festival play called "Armageddon: A Night of Laughs and Pleasant Songs". So, if you're looking for some tips on how to survive the apocalypse, then you should come check out the play June 24th-26th at 10pm at The Complex Theatre in Hollywood! You can get tickets here! Hope to see you there!! 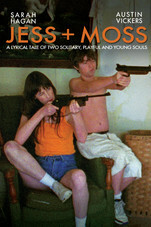 "Jess + Moss" will make its Tennessee premiere at the Nashville Film Festival on Friday April 15th. The film will also screen on Wednesday April 20th. Come and check out the film! You can buy tickets at the Nashville Film Festival site. On Friday, April 8th, "Jess + Moss" received the top award for Narrative Feature at the Dallas International Film Festival! Peter Fonda presented the award to director Clay Jeter and myself...which was pretty rad! Check out the article here! I, along with other castmates of Freaks and Geeks, will be doing a live interview with the Pop My Culture Podcast. It will be on Wednesday March 30th at 8:30pm. For more information click here! I finally have a new website! One that I can update myself, whenever and wherever I want to. In January, I went to the Sundance Film Festival for the world premiere of a film that I am very proud of called "Jess + Moss". We shot the film over the course of a year during three different visits to Western Kentucky for a total of 15 days. The process was the definition of guerilla filmmaking. So, the fact we got into Sundance and a lot of other film festivals at this point is amazing! Check out the website here! In February, me and a lot of the other crew from "Jess + Moss" went to Berlin for our International premiere at the Berlinale Film Festival! We screened 3 times and every time the audience responded really well to it...which is all we can ask for! In March, I attended the Paleyfest Reunion of Freaks and Geeks! It was awesome seeing everyone from the show! Some of the people I hadn't seen in like 11 years. Judd Apatow hosted the Q&A and I revisited the song 'Jesus Is Just Alright With Me' with Jason Segal. A wild trip down memory lane and an amazing night!